roots§routes stems from the need to create a space for reflection on the role that contemporary aesthetics play, or could play, in relation to anthropological themes and contexts, and in relation to a global scenario which discusses and problematizes the concept of colonial and postcolonial. The magazine is co-directed by Viviana Gravano, Giulia Grechi and Anna Chiara Cimoli; editor and communication Paola Bommarito. roots§routes investigates the aesthetical and anthropological practices, in order to create and represent a discourse on identity and difference, exploring its potential for criticism and epistemological breakthrough. Every issue of roots§routes has a theme through which some contributions are requested to several researchers, theoreticians and artists. Such contributions may have different forms, videos, images, audio, interviews and texts. The magazine aims to carry out a contextual and positioned rereading of colonialism and post colonialism as a process of global and transnational relevance that concerned, and still concern today, both colonizing countries and the colonized (though naturally in different ways), and also those that seemingly have never experienced colonialism directly. Willing to present itself as an international platform, roots§routes has chosen to keep all contributions in their original language, without any sort of translation. Viviana Gravano is an Art Historian and a Contemporary Art Curator. Her main research interests are public art and social art, postcolonial artistic research, and the history of photography. She graduated in History of Art at the University of Rome La Sapienza, she attended the School of Specialization in Archeology and History of Art at the University of Siena, and the master’s in Cultural Heritage and New Technologies at the La Normale University of Pisa. She is Associated Professor of Art History at the School of Fine Arts in Bologna. 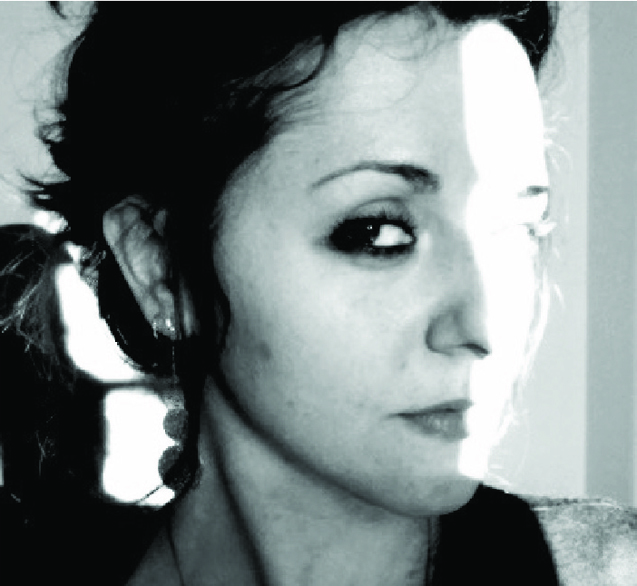 She has been coordinator of the Master in Contemporary Art and Museum Curator at IED – Istituto Europeo di Design. She worked as an art historian at the GNAM_Galleria Nazionale d’Arte Moderna and Fototeca Nazionale in Rome. She founded the private gallery LOPLOP and was the artistic director of the NOVA gallery in Rome. 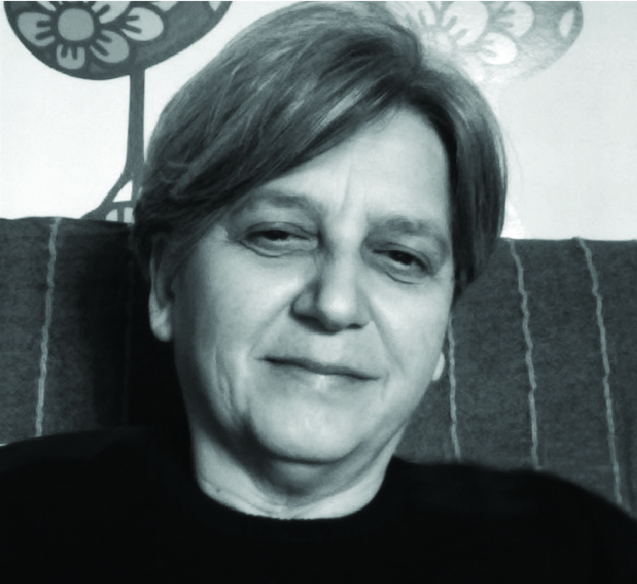 She was co-founder and editor in the magazine “Gomorra-Territories and Cultures in the Contemporary Metropolis”; she was Assistant Director in the magazine “Avatar-Dislocations between Anthropology, Communication and Visual Arts”. She was in the Editorial Staff of the magazine “Art’O- Culture and Politics of Performing Arts. She is vice-president of the cultural association Routes Agency. Cura of contemporary art, based in Rome. 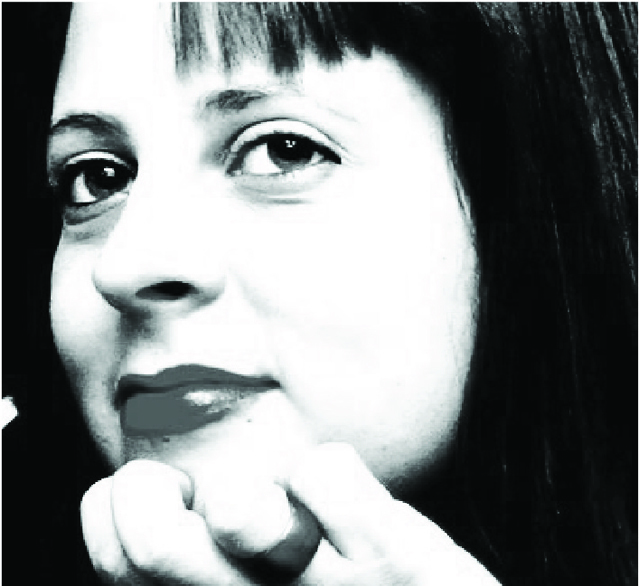 As Routes Agency, she curated with Giulia Grechi exhibitions and conferences in many cultural spaces (such as the MAXXI Museum and the Pigorini Ethnographic Museum, Casa della Memoria e della Storia, Teatro Vascello, RomaEuropaFestival in Rome), about cultural heritage of Italian colonialism, and its contemporary re-reading by contemporary arts. She participated in many international research projects, such as REcall – European Conflict Archaeological Landscapes Reappropriation, and the British international project “TML – Transnationalizing Modern Languages”, about “italianità” beyond the national frame, curating with Giulia Grechi the final exhibition of the project, Beyond Borders. Transnational Italy. The exhibition travelled a lot in 2016-2018 between Rome, London, New York, Melbourne, Addis Ababa, Tunis. She published many essaies in the catalogues, books and magazines, wich mention: L’Arte fotografica, Fotografi da tutto il mondo nelle collezioni italiane, Fondazione Italiana per la Fotografia, Palazzo Cesi, Acquasparta (TR), Carte Segrete, Roma 1996; “L’immagine fotografica”, Mimesis, Milano 1997; “Crossing. Progetti fotografici di confine”, Costa & Nolan, Milano 1998; “Paesaggi attivi Saggio contro la contemplazione/L’attivismo paesaggistico nell’arte contemporanea”, Mimesis, Milano 2012; “Expo Show, Milano 2015, una scommessa interculturale persa”, Mimesis, Milano 2016; Presente Imperfetto. Eredità coloniali e immaginari razziali contemporanei (curated with Giulia Grechi), Mimesis, Milano 2016. She is Cultural Advisor of the contemporary dance project and art platform “Excelsior” designed by the choreographer Salvo Lombrado, with the dance company Chiasma. She was the author of two cycles of episodes on photography on Radio RAI3 in the context of the transmission L’Occhio Magico. She was a consultant for the photographic images for the film “I piccoli Maestri” by Daniele Lucchetti and for the TV series “La vita che verrà”, directed by Pasquale Pozzessere. Giulia Grechi is a cultural anthropologist. Her research interests include cultural and post-colonial studies, migrations, museology, with a focus on representations of the body and on “italianity”, and how contemporary art practices can discuss and re-shape these complex imaginaries. She holds a PhD in “Theory and social research” at the University La Sapienza (Rome, Italy). She teaches Cultural Anthropology at the Fine Arts School of Naples and at IED – Istituto Europeo di Design in Rome, where she has been co-coordinator of the Master in Art Contemporary and Museum Curator. She has been research fellow at “L’Orientale” (Naples, Italy) since January 2015, as a member of the EU Project “MeLa – European Museums in the Age of Migrations”, where she has been working on the relation between museums, migrations, contemporary anthropology and contemporary art. She participated in many international research projects, such as REcall – European Conflict Archaeological Landscapes Reappropriation, and the British international project “TML – Transnationalizing Modern Languages”, about “italianità” beyond the national frame, curating with Viviana Gravano the final exhibition of the project, Beyond Borders. Transnational Italy. The exhibition travelled a lot in 2016-2018 between Rome, London, New York, Melbourne, Addis Ababa, Tunis. She is president of the cultural association Routes Agency. Cura of contemporary art, based in Rome. As Routes Agency, she curated with Viviana Gravano exhibitions and conferences in many cultural spaces (such as the MAXXI Museum and the Pigorini Ethnographic Museum, Casa della Memoria e della Storia, Teatro Vascello/RomaEuropaFestival in Rome), about cultural heritage of Italian colonialism, and its contemporary re-reading by contemporary arts. She curated with Paola Bommarito and Giulia Crisci Ulissi, a research project by Routes Agency about mafia’s imaginaries in contemporary cultures, realizing two artistic residencies in a confiscated place in Marina di Cinisi, near Palermo. She recently published La Rappresentazione Incorporata. Una etnografia del corpo tra stereotipi coloniali e arte contemporanea (Bonanno, 2010 and Mimesis, 2016). She edited (together with Iain Chambers and Mark Nash) The Ruined Archive (Edizioni Politecnico Milano, 2014), and (together with Viviana Gravano) Presente Imperfetto. Eredità coloniali e immaginari razziali contemporanei (Mimesis, 2016). She thinks that teaching is a form of cultural and political militancy, such as doing research, inside the practices, the translations and re-mediations of cultural models, which people constantly do in their daily lives. She often reads poetry. Anna Chiara Cimoli is an art historian and museologist. Her main fields of interest and experimentation are the relationship between museums and cultural diversity, the representation of migration and the relationship between museums and corporality. Specialized in Museology at the École du Louvre, after a Ph.D. in History of Architecture and Urbanism at the Polytechnic of Turin she worked at the Polytechnic of Milan, and later in several museums and publishing houses. She is a consultant to the publisher Johan & Levi. 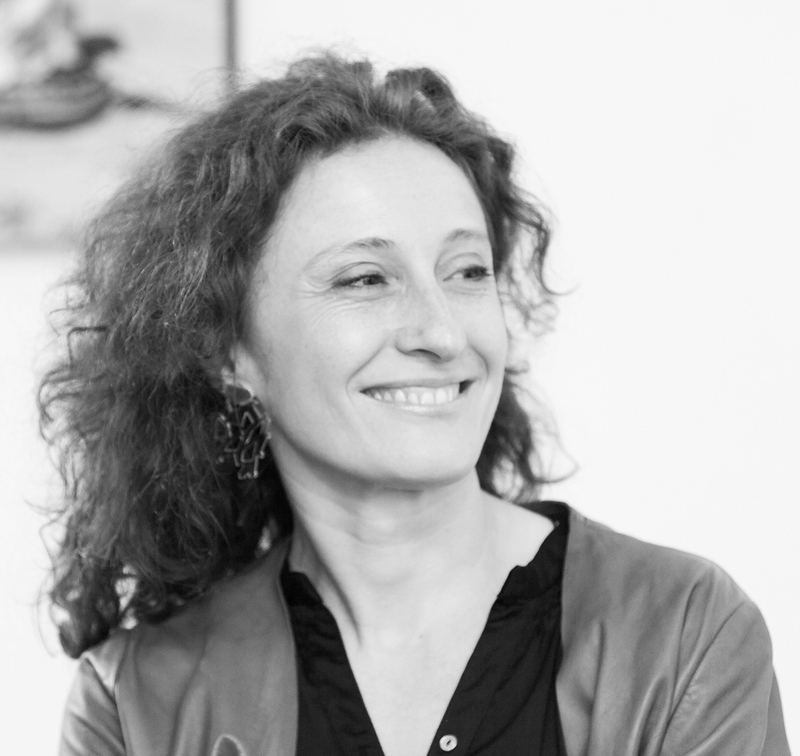 Since 2001 she has been a member of ABCittà, for which she developes programs tackling the relationship between museums and social inclusion, with a special interest in cultural diversity. In this context he has designed a series of programs through the methodology of participatory planning. She teaches Museum mediation at the University of Milan; teaching, even with children and adolescents, is a fundamental part of her practice. Within the European project MeLa * -European Museums in an age of migrations (2011-15) she has carried out a research on migration museums and their rhetoric, curating the exhibition La memoria del mare: migrant objects in the Mediterranean (Rome, Marseille, Luxembourg, Bergamo, Genoa). In 2015 her project What Do You See?, a peer education kit for teenagers at the Museo del Novecento in Milan in collaboration with a high school, was selected and funded within the framework of a MIUR call. With Chiara Ciaccheri she developes Senza titolo, a training and research project on the theme of labels and museum texts produced by the independent bookshop Spazio B ** K in Milan and hosted by various Italian museums. With ABCittà and 4iS-Plataforma para a Inovação Social (Aveiro, Portugal) in 2018 she collaborated in the international training course “Museums and Stereotypes”, born within the framework of Tandem Europe project. Again with ABCittà, in 2018 she co-designed The prejudices we are, an ‘anti-stereotye kit’ born from the #Ventotene project. Community, citizenship and European identity (ipregiudizichesiamo.org). She collaborates with the Il Lazzaretto foundation, based in Milan. She published Musei effimeri. Allestimenti di mostre in Italia 1947-1963 (il Saggiatore 2007), Divina Proporzione. Triennale 1951 (with Fulvio Irace, Electa 2007), Che cosa vedi? Musei e pubblico adolescente (Nomos, 2017) and Approdi. Musei delle migrazioni in Europa (Clueb 2018). She curates, with Maria Vlachou, the blog Museums and Migration. She is an activist for the rights of migrants and has been a professor of Italian as a second language for fifteen years. Paola Bommarito is a contemporary art historian. Her research interests include: participatory artistic practices, conceived in relation with cultural and socio-political contexts; communication theories and practices and their application in museums; connected marketing strategies. She holds a PhD in European Cultural Studies/Europäische Kulturstudien from University of Palermo with a research project titled Representations and practices in the public spaces. Artistic projects and socio-political contexts. Has studied History of Art at the University of Palermo. In 2010 she completed the Master in Art Contemporary and Museum Curator at IED – European Institute of Design – Rome. She teaches Exhibition Communication at the Academy of Fine Art of Palermo and Cultural Marketing at the Academy of Fine Art of Macerata. She has been adjunct professor at the Academy of Fine Art of Frosinone. From September 2011 to January 2016 she has been professor at IED School of Management – Rome, in different courses about Visual Communication, Ergonomics of the Exhibitions and Cultural Event Organization. From February 2011 to March 2015 she has been coordinator assistant of the Master in Art Contemporary and Museum Curator (IED, Rome) and she has coordinated the communication plan for the final curatorial project of the Master. From 2011 to 2014 she has been part of Routes Agency. Cura of contemporary arts, working in the organization and communication of several cultural projects. In 2016 she is again part of the curatorial collective Routes Agencyand she founded Ulissi a research project and artistic practice with the aim of investigate mafias’ imaginaries in contemporary cultures (together with Giulia Crisci and Giulia Grechi). From May 2010 to January 2015 she has worked at the Swiss Institute in Rome in the production of exhibitions and cultural projects and in the organization of the artistic residency project Studio Roma – Transdisciplinary program on the contemporary.